The UK spends less on university staff as a proportion current spending than its international competitors, despite having some of the world’s highest tuition fees, a new report has revealed. 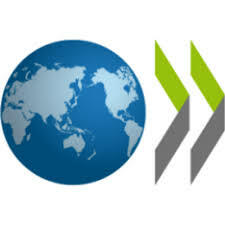 The OECD’s latest Education at a Glance report shows that the UK’s spending on tertiary education staff as a proportion of current expenditure (63%) is lower than both the OECD average (68%) and the EU average (70%). It reveals the UK is trailing behind competitor countries including France (80%), Belgium (76%) and Germany (67%) when it comes to the proportion of spending invested in staff. The UCU said universities need to recognise that staff are their most important asset and should be the main priority for spending. It added that universities are ignoring the wishes of students who say that investment in staff is a top priority for how their tuition fees should be spent. The report comes as UCU members in higher education are being balloted for industrial action over pay. The dispute has arisen after employers made a final pay offer of 2% for 2018/19, a move which UCU says does nothing to address the falling value of higher education pay which has declined in real terms by 21% since 2009. The ballot will close on October 19. UCU general secretary Sally Hunt said: “Students at UK universities are paying some of the highest tuition fees in the world but this simply isn’t translating into spending on the workforce. UK institutions’ proportional spending on staff is failing to match that of many international competitors, even though students have clearly said that this should be a priority for how their tuition fees are spent.